I bought The Legend of Zelda: Ocarina of Time 3D despite not yet owning a 3DS. I just wanted that soundtrack so badly. Does that make me a whore? I think that makes me a whore. Anyway, here's another video to satisfy your Zelda cravings. GameTrailers' Pop-Fiction series discusses some of the most popular gaming rumors and puts 'em to the test, MythBusters style. 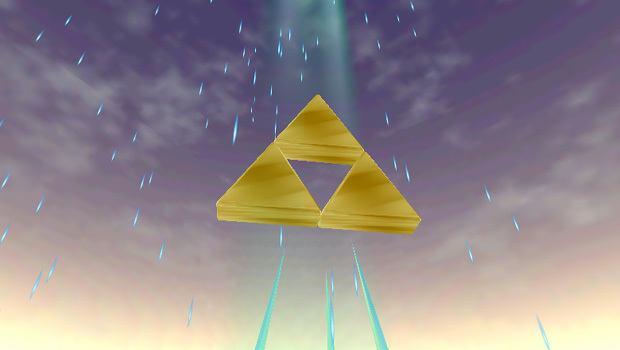 In the latest episode, they tackle the long-standing myth that the Triforce is obtainable in Ocarina of Time. The verdict may not come as a surprise, but these vids always uncover some enlightening nuggets.